Early Sunday, Astros prospect Paul Clemens packed his bags at AAA, shook hands with coaches and teammates, and told some fans he was headed to the “show”. Now, at that point we were not sure whose “show” he was headed too. No move had been made. No one was announcing this move. In fact, the Astros beat writers had been pretty silent about this, and they haven’t answered questions regarding this move. Could he have been traded? Maybe he is replacing someone on the roster who is going to be traded. No one truly knew, but Clemens is headed some where. MLB Trade Rumors had mentioned a few interesting points Sunday too. The Colorado Rockies acquired Aaron Harang and they have designated him for assignment shortly after. 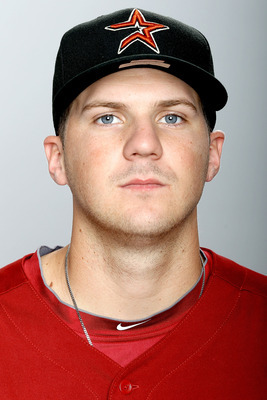 They, MLB Trade Rumors, also mentioned that the Astros have interest in acquiring him. If they do end up acquiring Harang, is Paul Clemens being showcased with the Astros this week so he could be on his way to Colorado afterwards? I hope not. I am not very high on Clemens, but that certainly be a deal that the Rockies would win unless the Astros can flip Harang to a contender. If the Astros do in fact trade for Harang, who wouldn’t cost much, he would a veteran pitcher who eats Innings, and could end up taking the place of Bud Norris who is also on the trading block. A Norris trade would definitely fetch a better catch for prospects. The 5 year veteran is eligible for Arbitration next year – and is sure to see a raise from the $3 Million he will make this year. Harang has a ceiling of $4.5 MIL to earn this year, so he would likely be held just until the Trade Deadline before being traded himself, even if the franchise flips Norris beforehand. The Astros also have interest in Julio Borbon, Texas Rangers Outfielder, who is likely to get Designated For Assignment today. I, for one, am not a fan of the Astros picking up Borbon. Yes, he has speed, but he can’t hit, and he can’t throw. He has developed a reputation of having a noodle for an arm in Right Field. Yes, he has the tools (speed) to make up for his lack of an arm, but I’m not really behind this move. 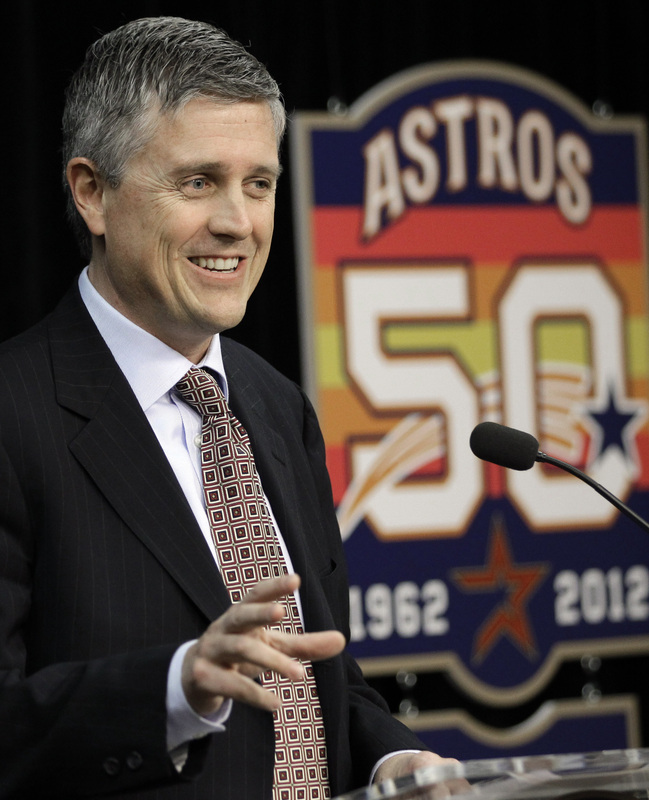 Where the Astros are at right now, it certainly looks like a deal is fixing to go down. Jeff Luhnow has always been good about keeping his trades quiet, but I believe the Paul Clemens situation could just be a call up. If so, I think Xavier Cedeno is on his way back to AAA. Trading a prospect for Harang would not be in the clubs best interest long-term. Even with the Dodgers eating $4.5 Million of the big guys salary this season – he is still due to collect $2.5 MIL and has a Mutual Option for next year at $7 MIL, which carries a Team Buyout for $2 MIL. The only reason to snag the guy – would be to trade him later in the year for more prospects. 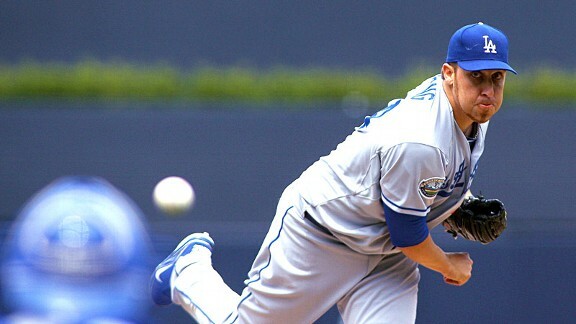 Harang was 10 – 10, with a 3.61 ERA last year with the LA Dodgers. He was amongst 7 other Starting Pitchers in LA and lost out in a numbers game. Would the Astros really like to acquire him? A big thank-you goes out to Our ‘Astros Correspondent’ Lee White for preparing today’s featured article. Lee is currently a writer at strosbros.wordpress.com. He has been an Astros fan his whole life and has a deep knowledge about the team as a whole. Lee currently goes to college about an hour away from Houston. Just a small town kid with a dream. I love all sports, but mostly Astros baseball. My blogs are obviously all about the Houston Astros. I've been a fan of them since birth. I also love the Dallas Cowboys, and Dallas Mavericks. I don't blog about them, but tweet about them. If you want to see what I think about those teams, com follow me on Twitter @Moguls73. Hope you guys follow along and enjoy my blog! Posted on April 9, 2013, in MLB Player Profiles, The Rest: Everything Baseball and tagged @lee_white73 on twitter, @sullybaseball on twitter, aaron harang, astros 25 man roster, bud norris, colorado rockies, houston astros, jeff luhnow, jim crane, julio borbon, Lee White, los angeles dodgers, minute maid park, paul clemens, texas rangers, www.strosbros.mlblogs.com, Xavier cedeno. Bookmark the permalink. Leave a comment.